Public worship is our weekly, corporate privilege to gather and give God the praise for which he is worthy as our creator and redeemer. We seek to be God-centered in our worship and to glorify God joyfully and reverently. Since we believe that God is the one who directs how we are to approach him in worship, our services are simple, consisting of the ordinary means of grace provided by God in his Word. The preaching of the Bible is central to our worship, and we also enjoy times of prayer, the sacraments of baptism and the Lord’s Supper, and singing of the 150 Psalms of the Bible. 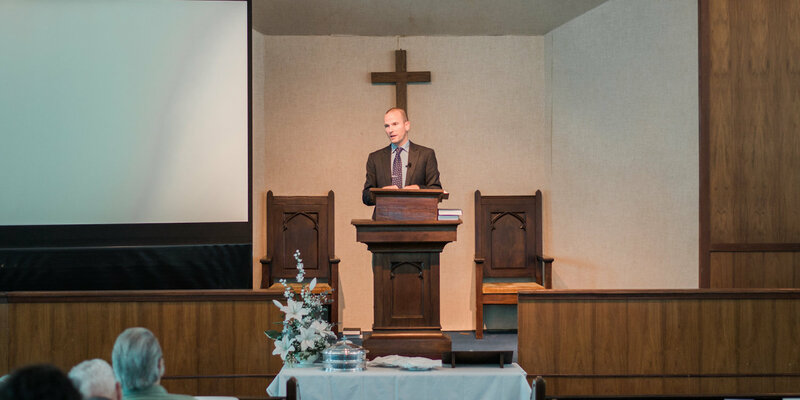 Previous sermons can be accessed by clicking here.